For a second year, the Anne Springs Close Greenway Ladies Guild organized the Green Gala. The theme this year was a roaring 20?s style Speakeasy & Sparkles. Funds raised during the event will benefit the Anne Springs Close Greenway Summer Camp & Recreation Scholarships. 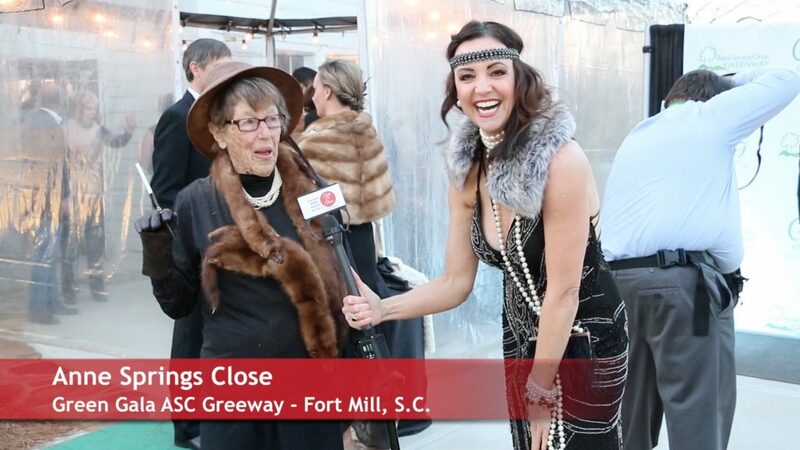 Talk of the Town covered the event interviewing many attendees and organizers on the “Green Carpet” In this video are Britton Buist, Angela Pope, Denise Cubbedge, Cindy and Chuck Epps, Anne Springs Close, El Close and more. The Green Gala: Speakeasy and Sparkles was?March 4, 2017 at the Dairy Barn. The evening included heavy hors d’oeuvres, live music, charity gaming tables, dancing & ?a silent auction. 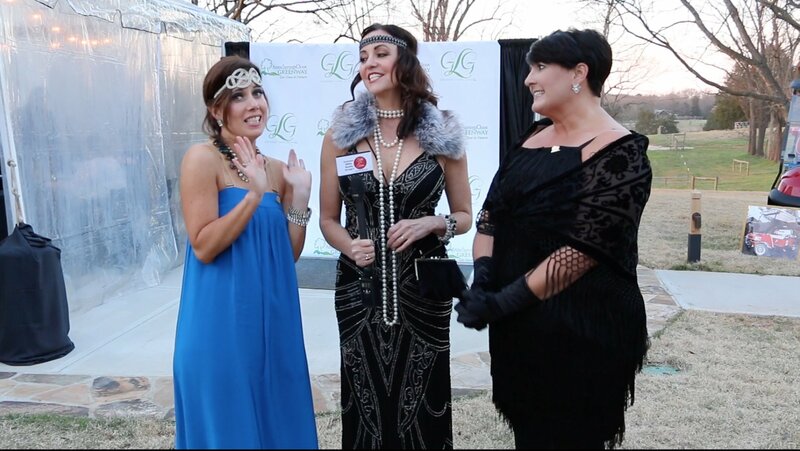 See how people dressed to support this year’s roaring 20’s theme. Want to learn more about the ASC Greenway and the Ladies Guild? Go to?www.ascgreenway.org. Yes in the intro of this Talk of the Town video is a cameo appearance by Carmen Miller and daughter?Sarah Miller.